Enjoy intense aromas with hints of lively fruity winey notes, balanced with subtle sweet cereal-chocolatey notes, for a strong but round and pleasant to drink coffee until the last sip. With milk, its strength is tempered but it keeps its full coffeeness. 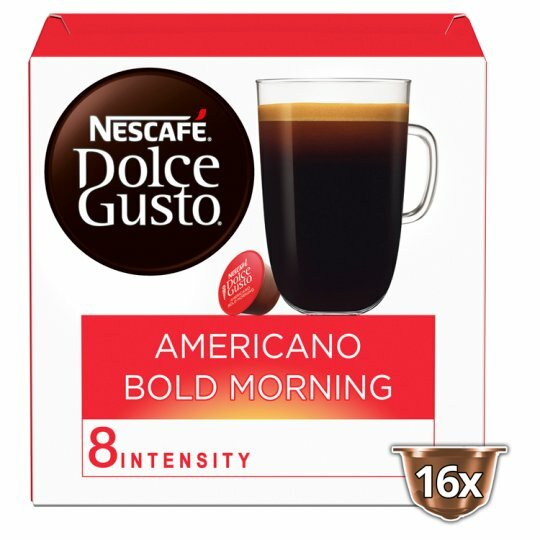 The box contains 16 capsules designed for NESCAFÉ® Dolce Gusto® capsule coffee machines for you to prepare 16 cups of Americano Bold Morning. 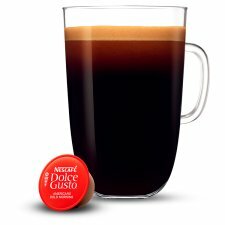 Simply slide your Americano Bold Morning capsule into your NESCAFÉ® Dolce Gusto® machine. Your coffee will be ready right away.